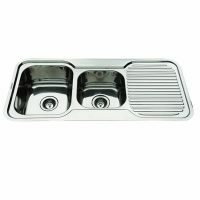 The Squareline Plus 32L Utility Sink is a trendy and versatile sink which is perfect for your kitchen. It features the perfect blend of good looks and functionality and can be installed either as a top-mounted or under-mounted unit. 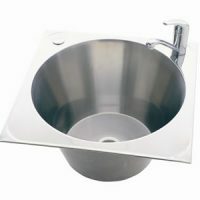 The Squareline Plus 32L Utility Sink measures 510x420x230mm in dimensions. It includes a 90mm wastebasket and comes equipped with an integrated overflow kit. 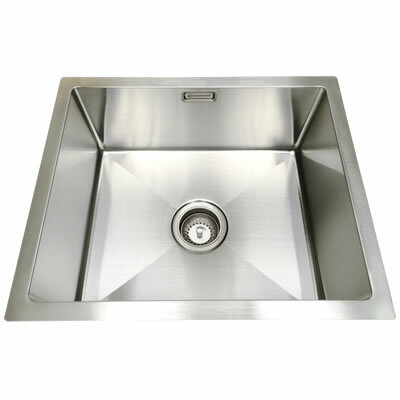 Experience the best in high-quality design and amazing build quality with this utility sink. It is handmade using 1mm thick high-grade stainless steel and comes in a trendy brushed finish. The internal corners are rounded off, which makes cleaning easy. 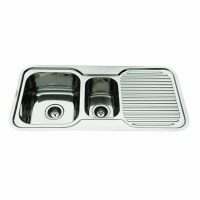 This utility sink comes pre-equipped with a foam seal for top mounting and bench fixing clips, which allow for easy installation. Trust that the Squareline Plus 32L Utility Sink is a superior grade product that offers exceptional value for money. It is incredibly durable and is designed to last. As such, is backed by a 25-year warranty on the stainless-steel sink and a 1-year warranty on the waste, plug and other accessories. For a trendy and versatile utility sink in Perth, the Squareline Plus 32L Utility Sink at Ross’s Discount Home Centre is hard to beat.